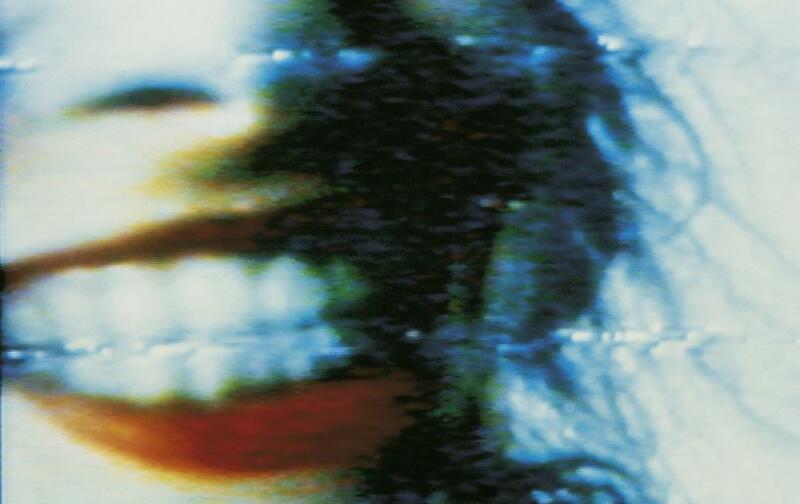 From 26 February to 8 May 2016 the Kunsthaus Zürich presents an exhibition by Pipilotti Rist. The Swiss artist, who is admired worldwide for her video installations and objects, will be transforming the more than 1,000 square metres of the large exhibition gallery into one big installation. 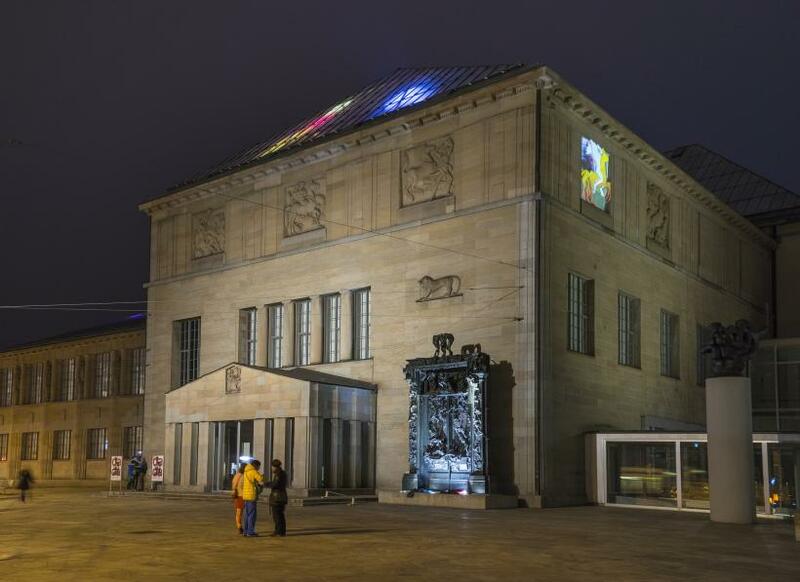 Early works will appear alongside new pieces specially created for the Kunsthaus. 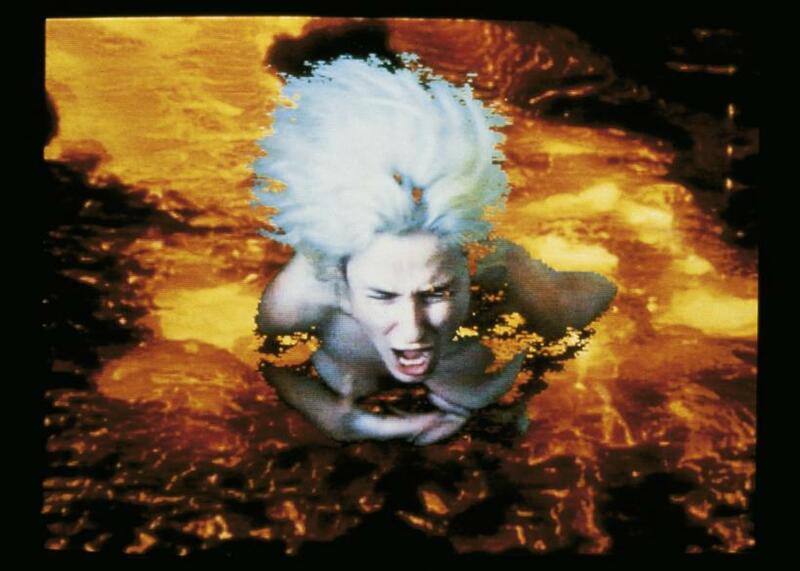 Pipilotti Rist (b. 1962) is a pioneering figure in video art who has achieved international fame with her sensual and audacious video installations that tackle conventions and taboos in an entertaining, ironic and self-confident way. 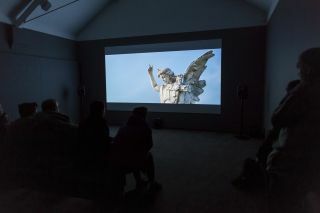 The exhibition presents key works from the beginning of Rist’s international career, including the early single-channel videos with which she became known in the 1980s. The large-scale video installation ‘Worry Will Vanish Horizon’ from 2014 will be receiving its first showing in Zurich, as will a new, large-format work created specially for the Kunsthaus: ‘Pixelforest’ (2016). 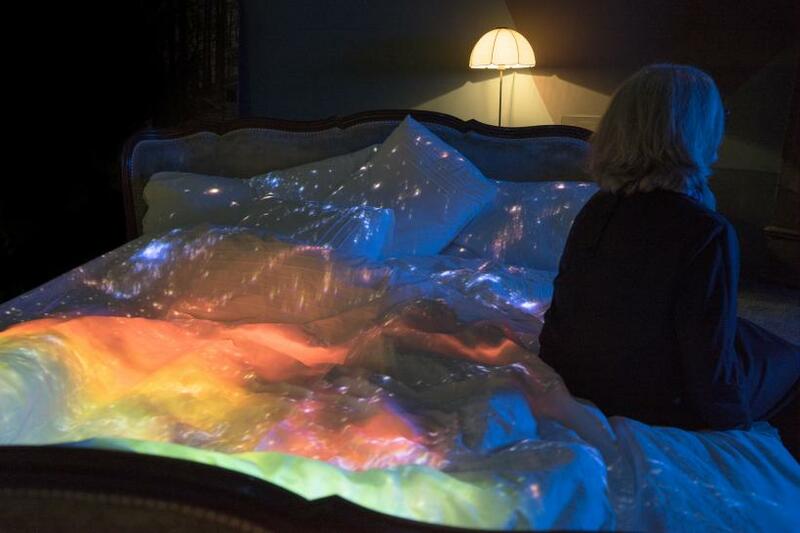 As in her other works, light, colour and the viewer’s own movements play a central role in this installation. The ‘Pixelforest’ consists of 3,000 LED lights suspended in space on strands of cable that merge into a magical image forest which visitors can wander through. Each LED is individually controlled by a video signal, so that the forest of lights is constantly changing: like ‘a screen exploding in space’, as the artist herself describes it. Curator Mirjam Varadinis, who has worked closely with Pipilotti Rist to set up the more than 1,000-m2 exhibition and select a total of 41 works, has some unconventional perspectives in store. 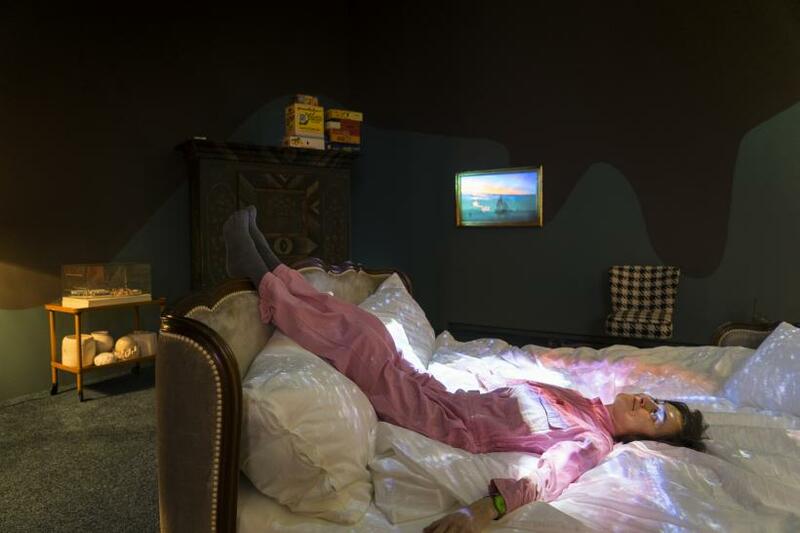 Sometimes lying on the floor, visitors will themselves become part of the sensual installations. 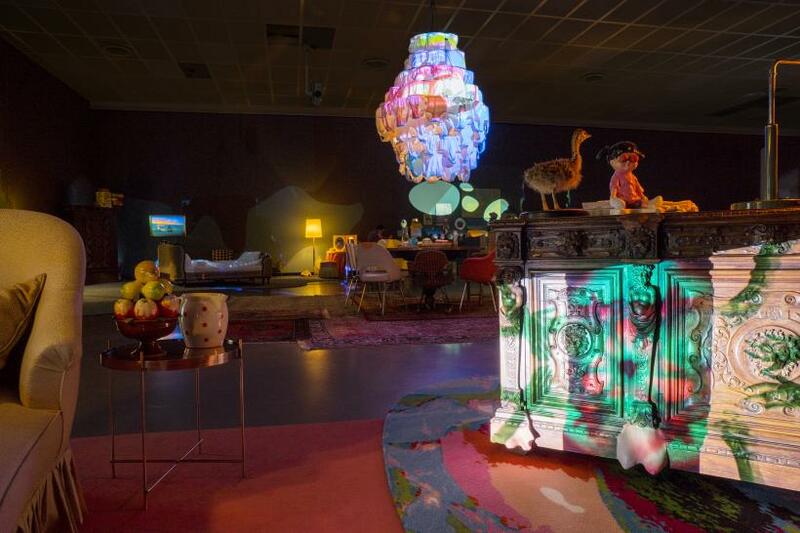 Rist challenges our senses and draws us into a colourful and highly imaginative world. Playfully and humorously, she reflects on questions of perception and addresses feminist issues at the same time. Elaborate technology encounters small and loving gestures. 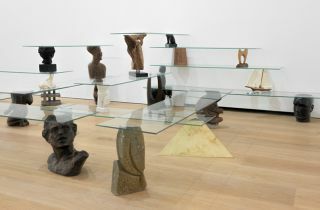 With installations such as ‘The Innocent Collection’ (1985–ca. 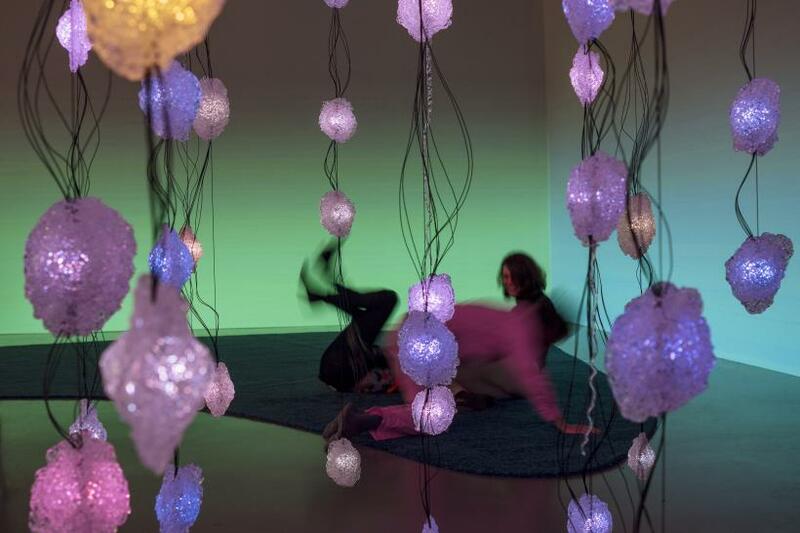 2032) and ‘Nothing’ (1999), the Pipilotti Rist exhibition also extends to spaces outside the exhibition gallery: to the Heimplatz and the café in the entrance hall of the Kunsthaus. Here, Rist introduces a poetic touch and interrogates the functions and processes that are taken for granted in the museum context. Also visible in the public spaces are the ‘Tactile Lights’ (2016). These were developed by the artist in close cooperation with the Kunsthaus Zürich specially for the historic glass roof over the entrance hall of the Kunsthaus building by Karl Moser (1860-1936) and for one of the reliefs ‘Amazon Battle’ (1910) by Carl Burckhardt (1878-1923) on the façade. The installation in the roof space, with its ‘moving lights’, is designed to make an impression from outside, and can be seen from the Heimplatz and the adjoining site at night. It covers an area of several hundred square metres of glass together with the steel construction beneath and is visible far and wide during the night at certain times. 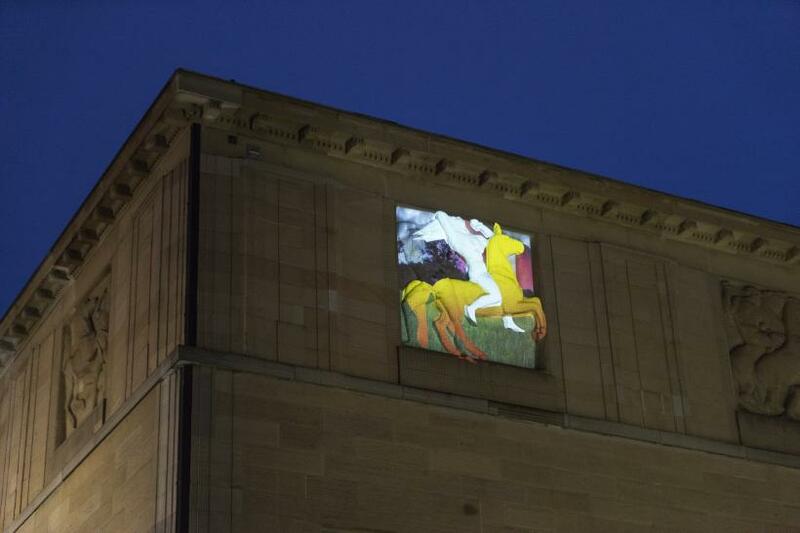 The associated video projection is directed at one of the five neoclassical reliefs. The relief in question, on the north-west façade, depicts an Amazon who is fighting with a Greek and is set free by the projection. This commission for the Kunsthaus collection has been produced and acquired with the support of Swiss Re – Partner for contemporary art.